Souplantation is one of our guilty pleasures. It's the one place we can eat as much as we want, yet still feel OK about ourselves because it's mostly soups and salads. Mostly. Recently, we took an extended lunch and played with some hacks and upgrades one can dabble with at any Souplantation. We gotta admit, we might have had a little too much fun. Though it's all in the name of discovery, right? Check out some of the upgrades you can perform to enhance your dining experience. Grab any pasta. 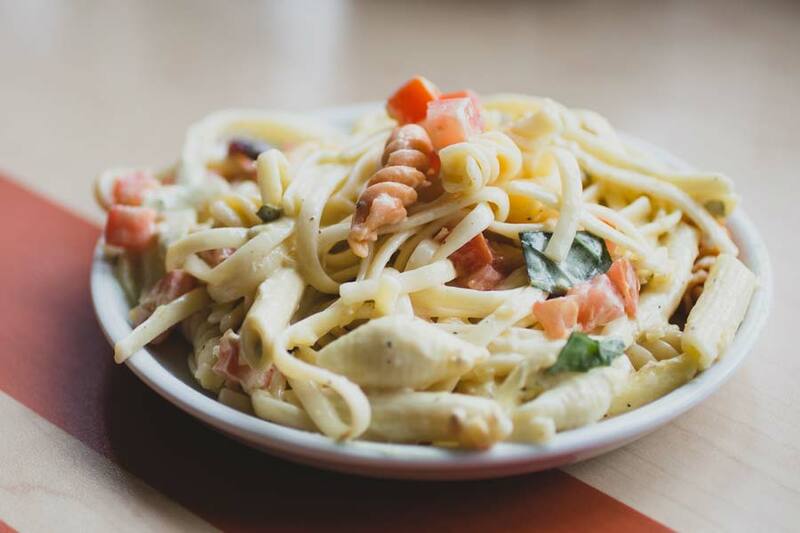 Be it penne, mac & cheese, carbonara (spaghetti), or linguini and load it up. Throw some mushrooms, bacon bits, cheese, onions, anything you can get your hands on that'll load it up. Don't be afraid of dessert toppings as well. A popular hack, take a piece of corn bread and break it in half. Then, top it with chili and a little tomato soup. Let the cornbread soak everything up and add some sour cream, cheese and onions. The result should give you a moist, soup-soaked corn bread. One of our favorites. Roll over to the pizza bar and grab some slices on a plate. Then, head back to the soup bar and ladle a generous amount of clam chowder. 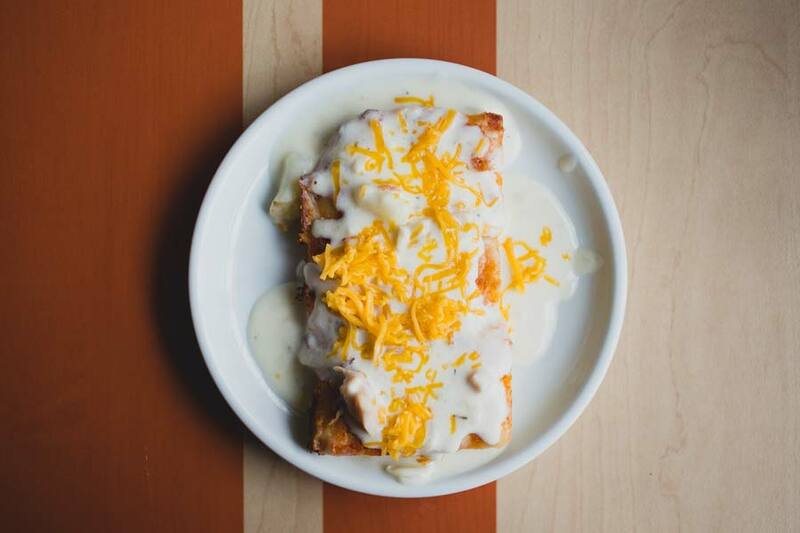 We suggest topping it with shredded cheese. Amazing. Another popular hack, grab some penne from the pasta station. Then, go find the Cream of Mushroom from the soup bar and throw some one top the pasta. You'll have a creamier pasta dish with more flavor and mushroom. Control the texture of the dish with how much pasta you add. Heads up, it's gonna be rich. Sure, the chili at Souplantation is great but it could definitely be spicier. Three peppers spicier. 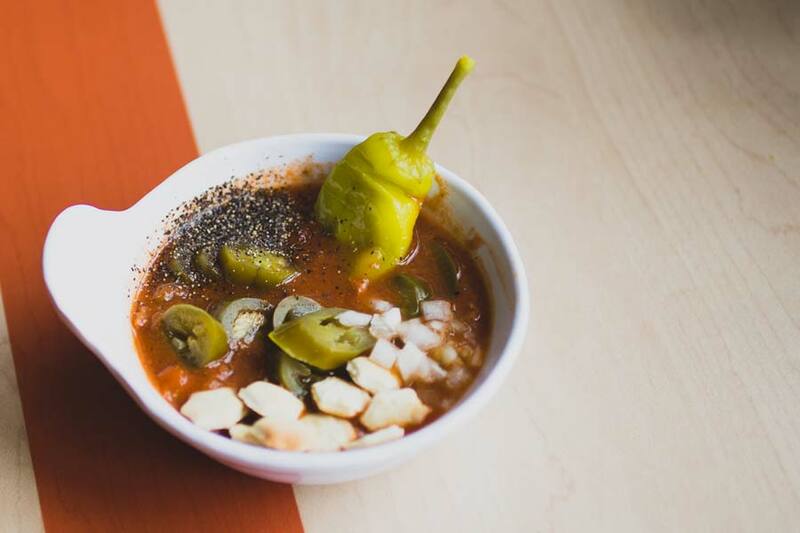 Grab yourselves a bunch of jalapeños, a pepperoncini and a generous dash of black pepper. 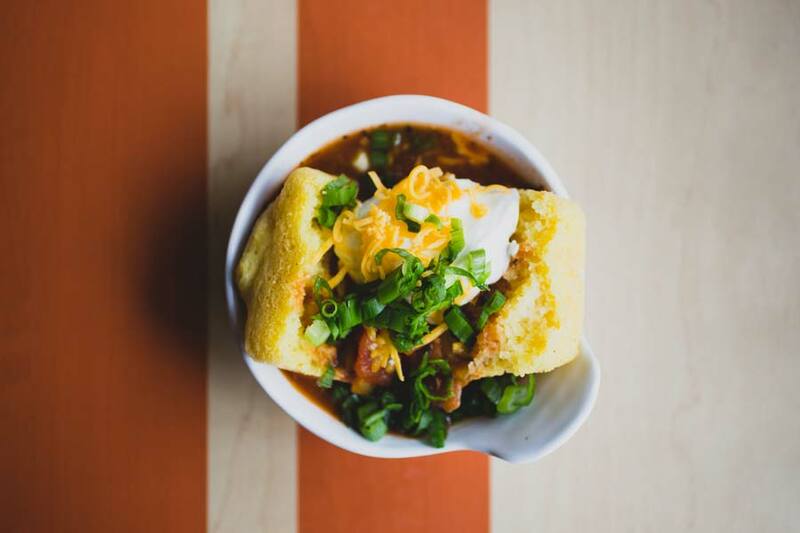 Should kick your chili up a notch. 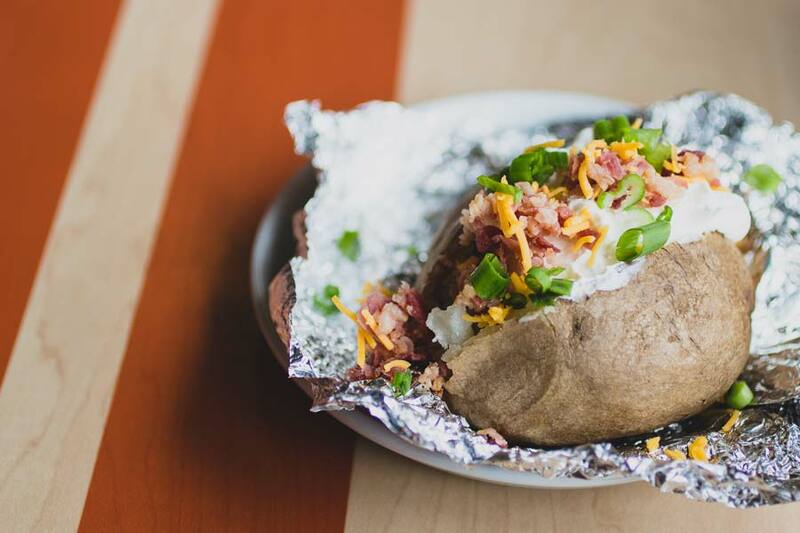 There's a simple beauty to a baked potato with just butter and salt. However, if you're doing all-you-can-eat, you're gonna want to change it up. 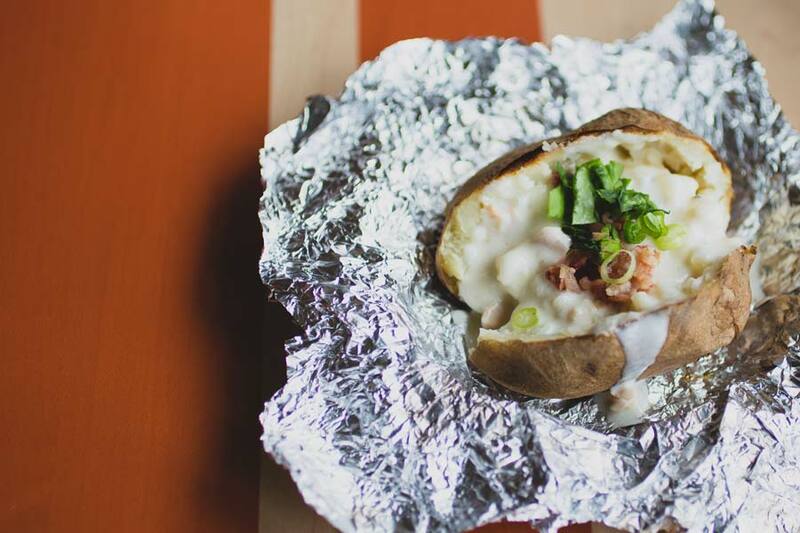 Split a baked potato in half and ladle some Clam Chowder on top. Then, throw some bacon on it! Everyone's favorite part of the muffin is the top. It's been proven time and time again. 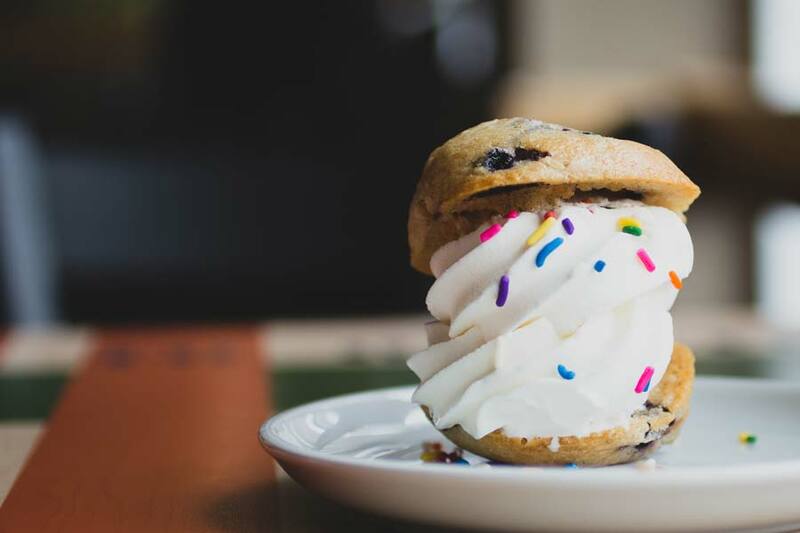 So we took the top of two blueberry muffins and used them as the part of an ice cream sandwich. Feel free to get some rainbow sprinkles in there, you're already this far. Yep, it's exactly what it sounds like. 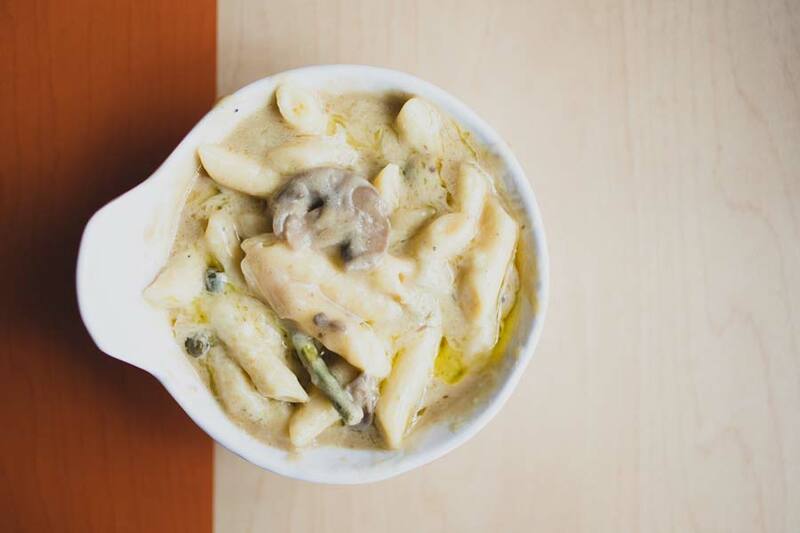 Grab all the pastas you can get your hands on. Whether it's in the pasta station, salad bar, or even if you feel like digging it out of soups. Toss them into a bowl and mix them together. God, those beautiful carbs. Souplantation has plenty of chocolate. If you take a brownie from the bakery and break it in half, you can throw some chocolate mousse on top one piece. On the other, put some chocolate ice cream on top (we chose a combination swirl). Let Oreo cookies, or chocolate sprinkles, rain. 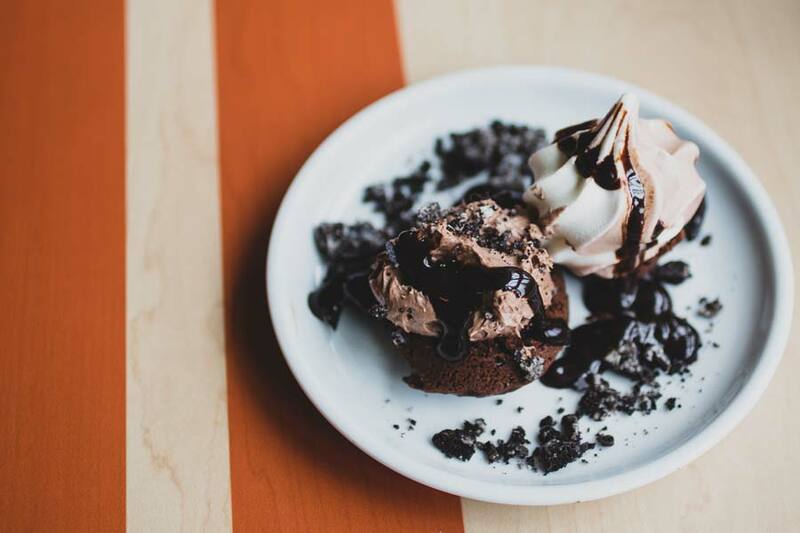 Finally, drizzle some hot chocolate syrup on top of your dessert. 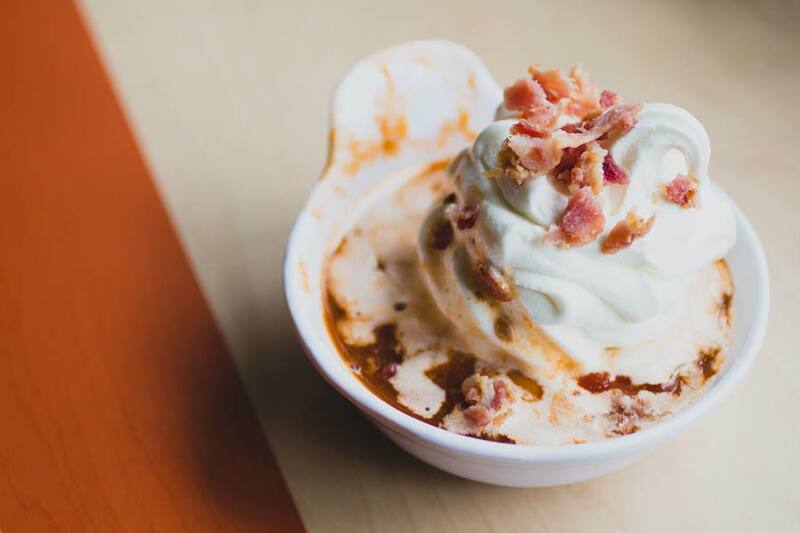 It's often been proven that bacon goes great with dessert. So why not combine two of the most readily-avalible items at Souplantation? 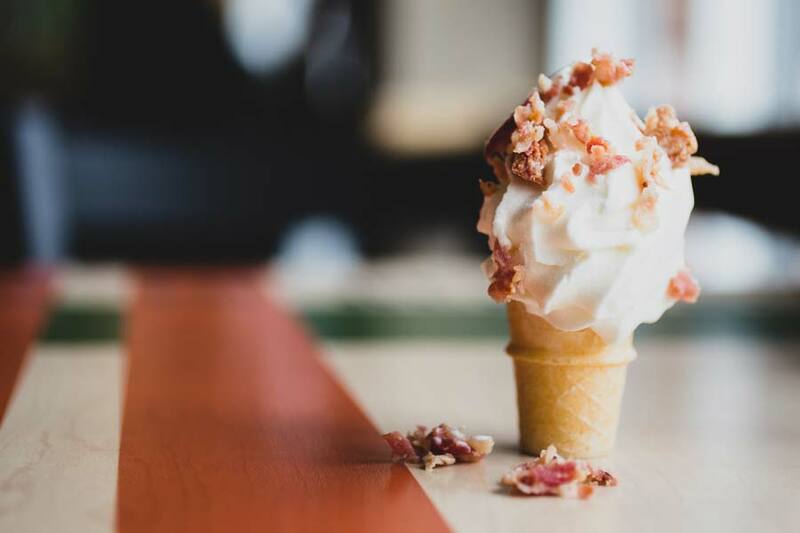 Make yourself a vanilla cone and sprinkle some bits of bacon on top. It's delicious. 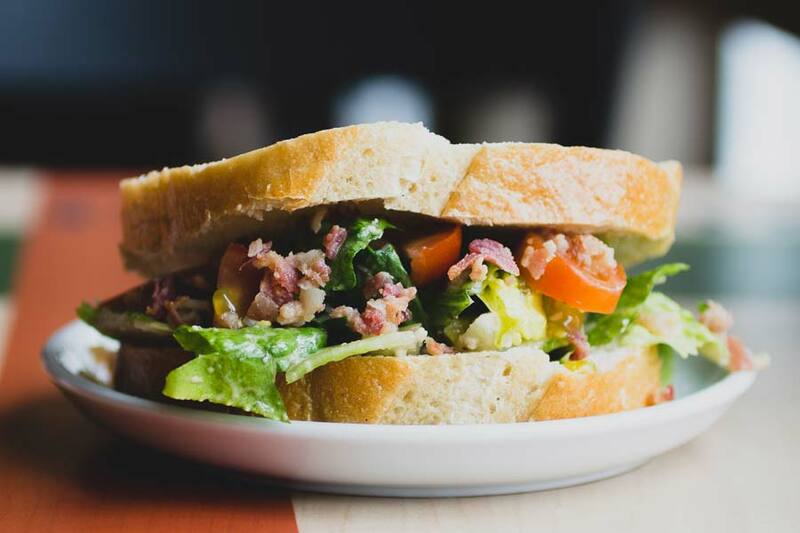 Feel like sandwiches? The bakery section should have some freshly baked sourdough slices. Grab yourselves two and head back to the salad station. There, choose from any salad. That's your lettuce. Grab some cherry tomatoes (we had to dice them up real quick) and finally some bacon bits. 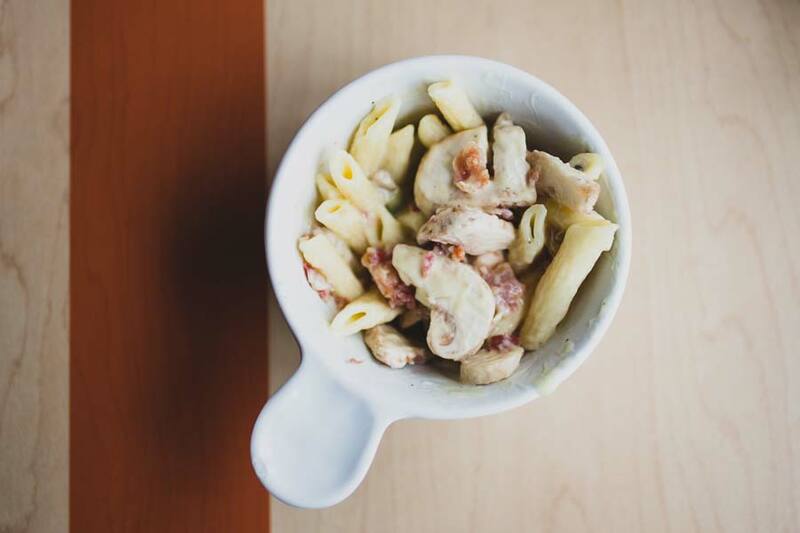 If you like your sandwiches a little more moist, we suggest adding a little cream from whatever pasta available with a white sauce. A simple, but essential upgrade. Find yourselves a hot baked potato and start piling. Cheese, onions, sour cream, green onions, basil, soup, bacon, anything you want. Load this baby up until you forget there's a potato underneath. Ice cream and chili. Just because we wanted to see what it looked like. Yeah, maybe skip this one.